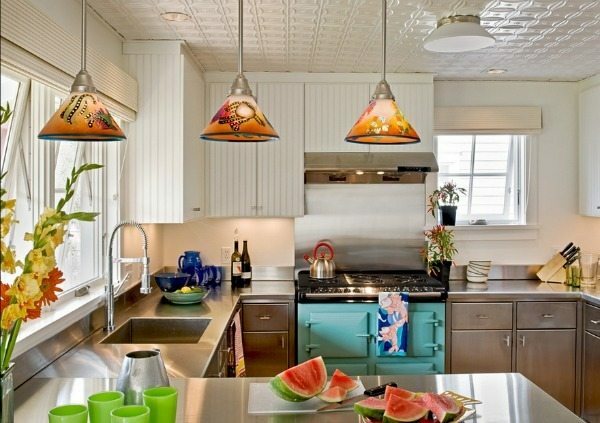 Metal kitchen cabinets are usually associated with professional kitchens and despite the fact that we do not see them in many kitchen designs, they do have a certain position. 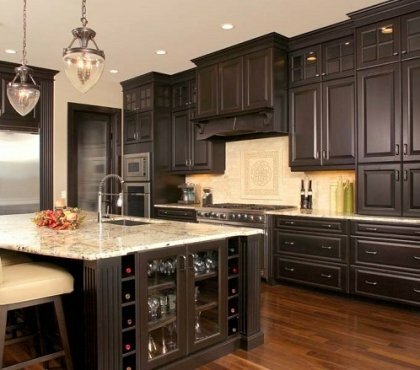 Usually, these are stainless steel kitchen cabinets, as they have many advantages to offer. 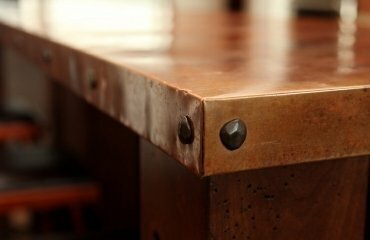 You will rarely see copper or other metal for several reasons and the high price tag is just one of them. 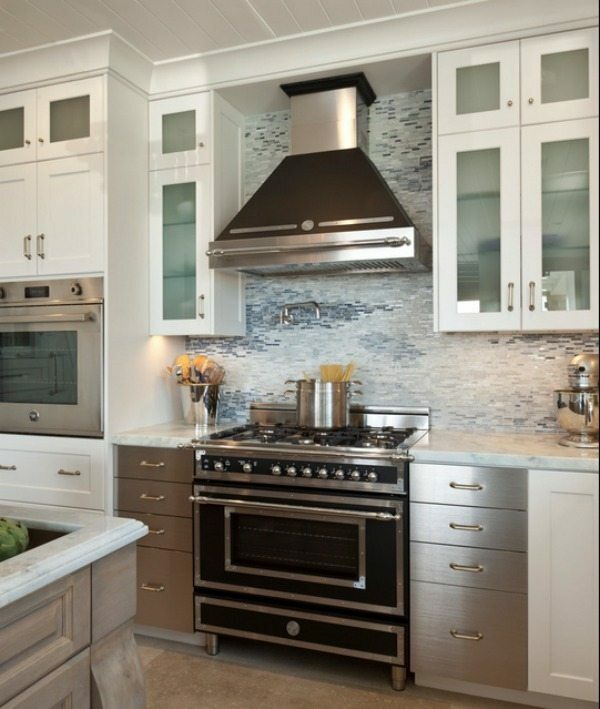 Stainless steel is more often seen as countertops, sometimes as backsplash and definitely, this is the most preferred kitchen appliances material. 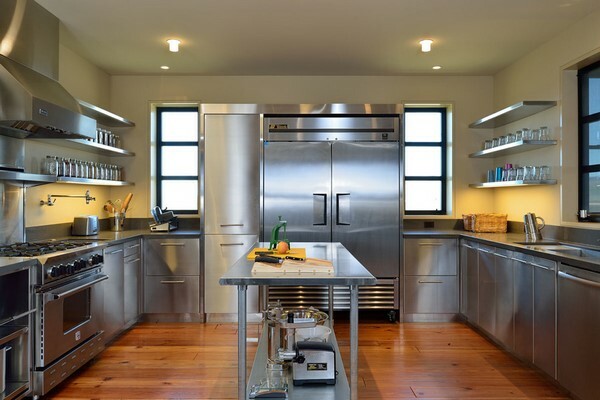 Today we shall focus on kitchen cabinets made of stainless steel, their advantages and disadvantages and the different ways to incorporate them in the interior of a modern kitchen. 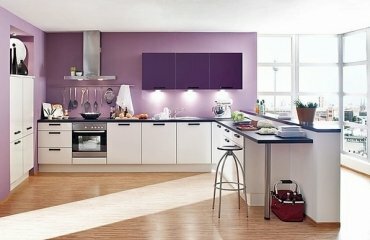 Nowadays metal kitchen cabinets are used in the design not only of professional kitchens. We see them in private homes and they look very interesting and attractive. 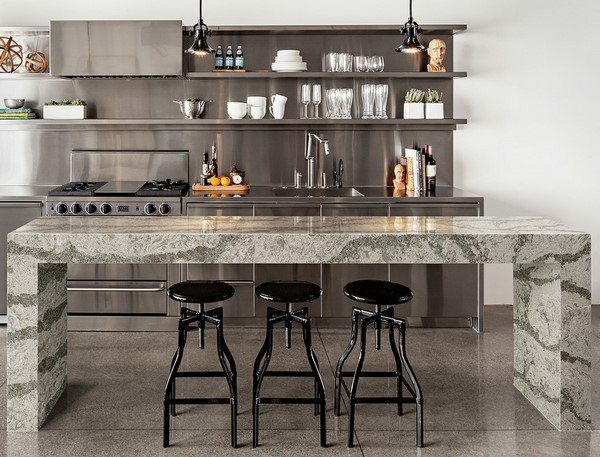 Using metal as the main material in the kitchen, as a rule, creates a somewhat urban interior. On one hand, it’s good, because such a decision is a modern trend which will continue to develop. 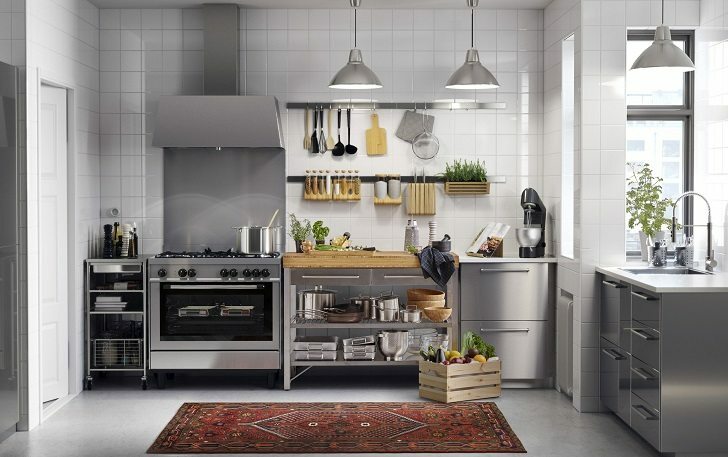 On the other hand, many people think that a stainless steel kitchen lacks comfort, coziness and harmony. However, this problem is easily solved as stainless steel can be very successfully combined with wooden elements which will soften the metallic sheen and add warmth and coziness. Just like any other material, stainless steel has its advantages and disadvantages. 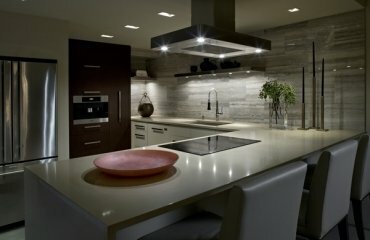 What are the benefits if you choose metal kitchen cabinets? 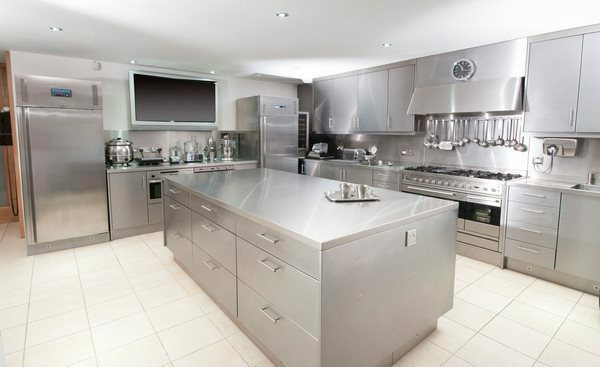 On the first place, stainless steel has a long service life as it is a durable material. It is non-toxic and considered as environmentally friendly as steel can be recycled. Modern metalworking methods mean that stainless steel can be cut, welded, molded and processed as well as traditional steels and other materials. High resistance to corrosion is another major advantage, especially when we talk about kitchen cabinets. 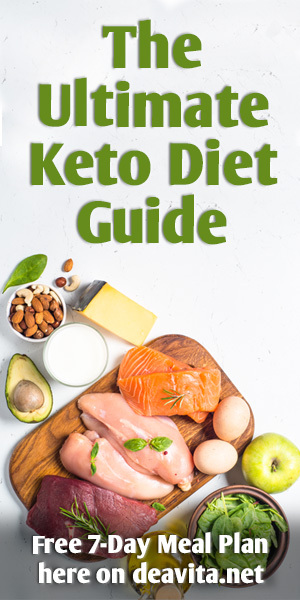 Food preparation involves a lot of water, using acids and you will not be worried that a splash of water or drop of lemon juice will damage the surface of your cabinets. Another advantage of stainless steel is the resistance to temperature changes and in addition, it is recognized as the most hygienic surface for cooking food. The material does not have pores, it does not crack and is resistant to dirt and bacteria. 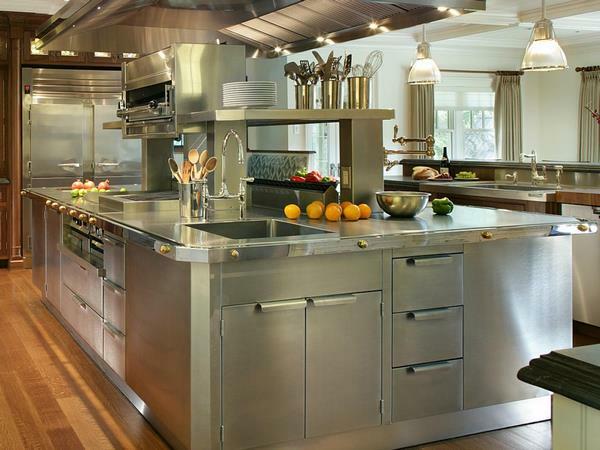 That is why stainless steel cabinets are the first choice for public kitchens, hospitals, etc. 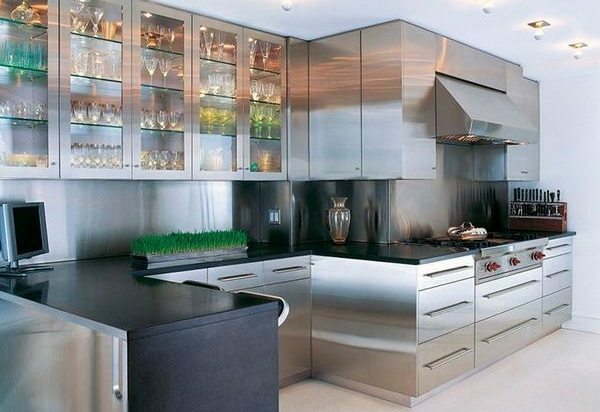 The aesthetic appearance of stainless steel cabinets works in a great way in contemporary interiors adding a sleek shine and attractive look. 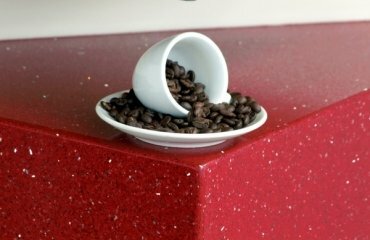 It can be combined with various materials and can be used in interiors of different styles. The most successful combinations of metal are with glass, natural wood (or veneer), stone, leather, painted surfaces, etc. 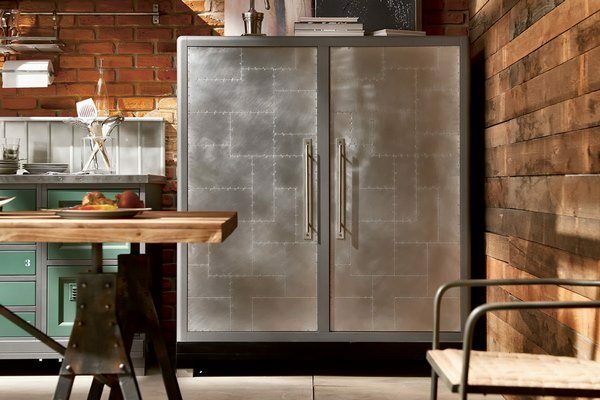 Metal emphasizes the geometric shapes of furniture, in industrial style and loft style kitchen designs. The main drawback of stainless steel is that is susceptible to scratching and sometimes denting, if hit with a heavy object. 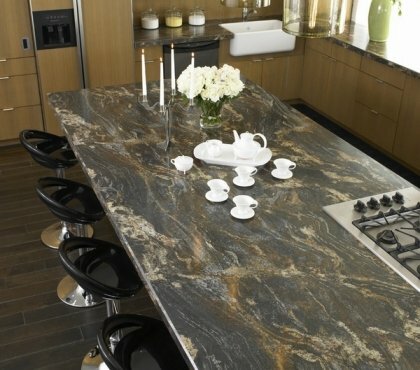 However, this is a concern when you plan to use it as a countertop. It is unlikely that anyone uses sharp objects on the facades of the cabinets. Another disadvantage is the high price tag. 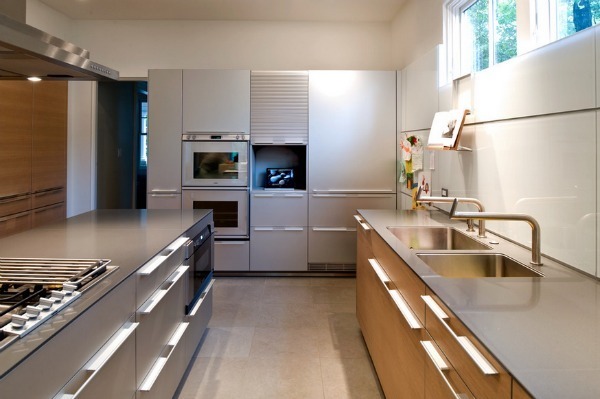 Metal kitchen cabinets made of stainless steel are more expensive than cabinetry made of alternative materials. 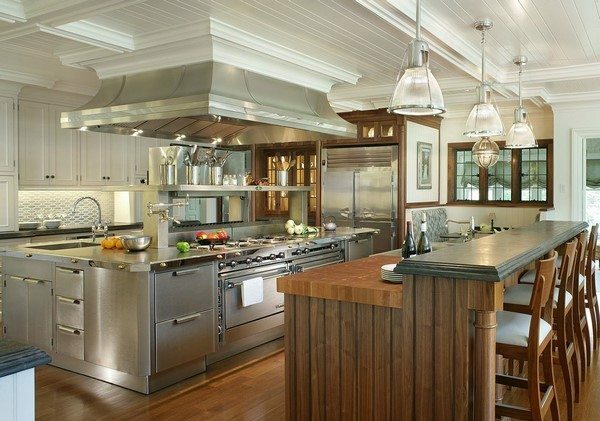 Of course, you can combine wood and metal and have just the lower cabinets made of steel, or just one or two cabinets around the stove. This will give you the modern touch and sleek appearance without breaking the budget. 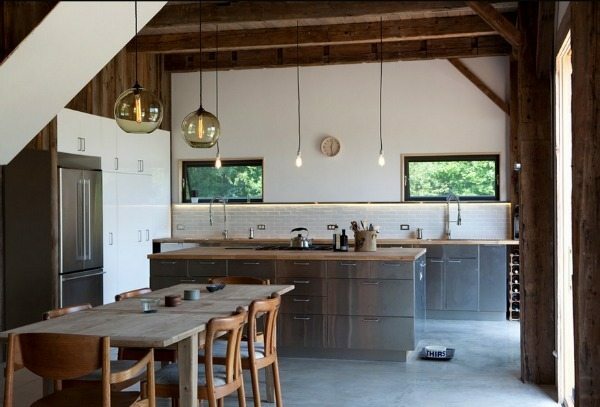 How to incorporate metal kitchen cabinets in different design styles? 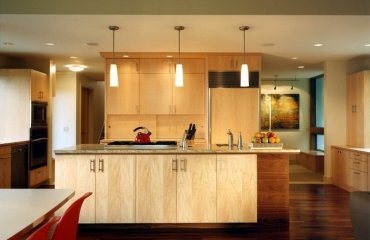 Metal kitchen cabinets can be used in many design styles. For more traditional designs you can combine steel and wood which will give you an interesting and intriguing appearance. You can choose upper cabinets made of wood and combine them with stainless steel on the lower ones, the countertop and the sink. In this way the interior will look not only very stylish but wood will add warmth and coziness. Another option is to choose metal cabinets for the upper row and wood for the low ones. Glass front doors will be a great idea and will soften the metallic sheen. Hi Tech style allows you to create a kitchen entirely from stainless steel – floor and wall-mounted cabinets, sink, shelves, accessories, etc. can be made of steel only. 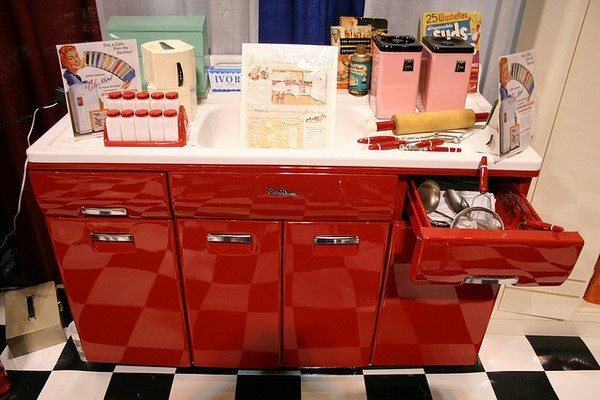 Color accents like red, yellow, green – any bright accent will make the kitchen look more vivid. 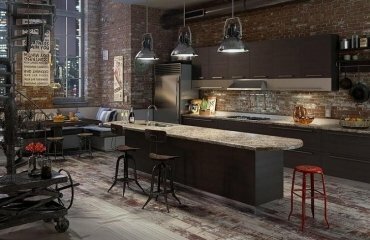 Stainless steel kitchen cabinets work very well with the industrial or loft style interior concepts. 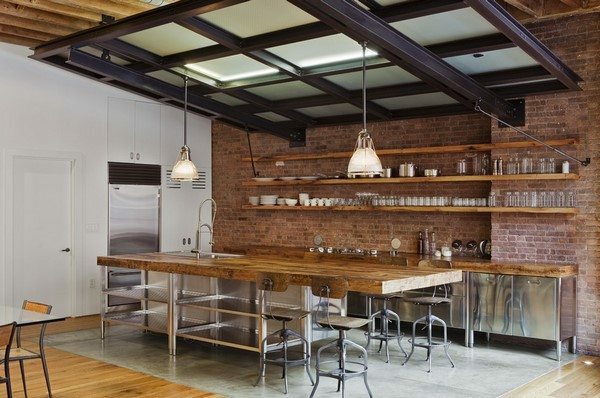 Metal is perfectly combined with wood and exposed bricks which are typical for the industrial style. 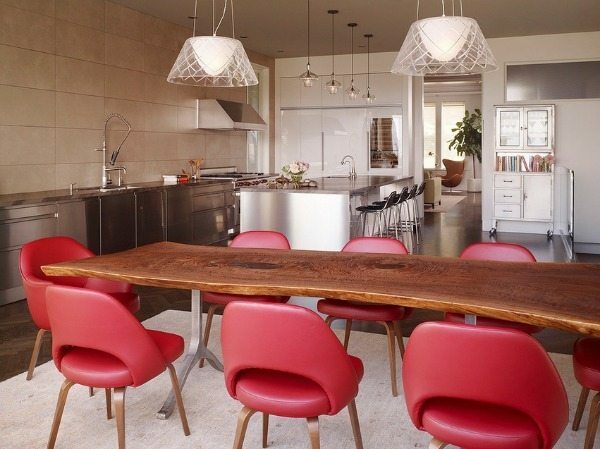 A solid wood dining table, for example, will balance the steel and the texture of bricks will make the interior more interesting. 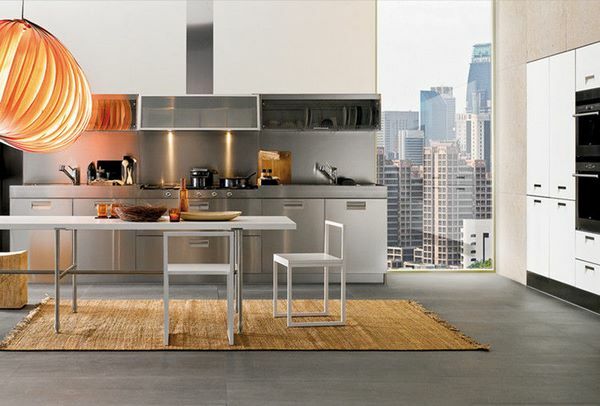 The interior of ultramodern kitchens benefits from glossy metal surfaces and steel cabinets along with stainless steel sinks and other kitchen utensils. Yes, some people find them cold and uncomfortable but when used wisely and combined with the right complementary finishing materials, metal kitchen cabinets can transform any dated kitchen into a modern space. 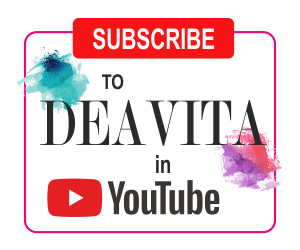 Such designs are suitable for both small kitchens and for open plan living spaces when you want to create a fashionable and functional interior. 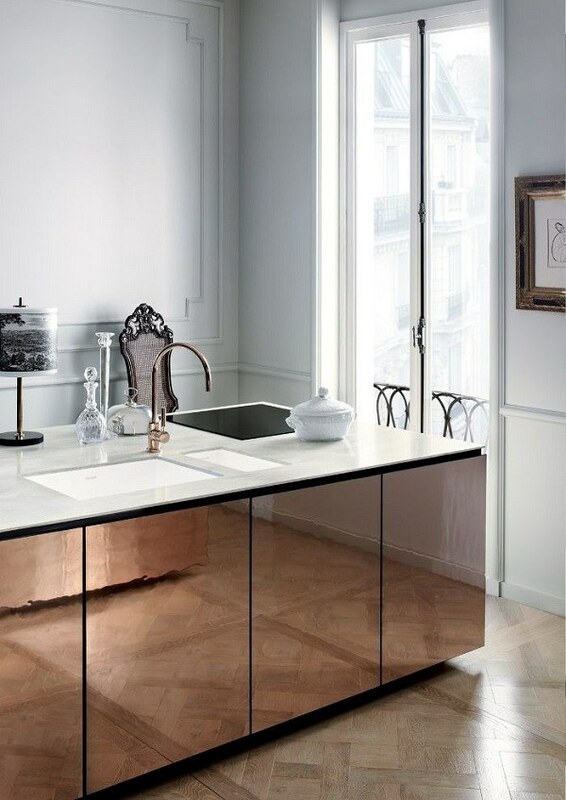 Look at the photos in the gallery below, as we selected some of the best examples where metal kitchen cabinets are used in trendy interiors and see how they can be used in a variety of design concepts.